BERLIN – Manchester City already have their backs to the wall when they travel to Borussia Moenchengladbach on Wednesday, with injuries piling up and a losing start to the competition threatening to derail their Champions League campaign. After starting the English Premier League season with five consecutive wins, a jolting home defeat by Juventus in their Champions League opener was followed by consecutive beatings by West Ham United and Tottenham Hotspur. Saturday’s 4-1 defeat by Tottenham also saw midfield powerhouse Yaya Toure suffer a hamstring injury, while keeper Joe Hart missed that game with an injury and both are doubts for the clash in the Rhineland. With pressure mounting to stay in the running for a top-two finish in Group D, City’s coach Manuel Pellegrini is also likely to be without captain Vincent Kompany who is nursing a calf problem. With Moenchengladbach hosting their first game in Europe’s premier club competition for 37 years, the atmosphere at the Borussia-Park will be daunting for City who badly need a three points to bolster their chances of getting beyond the last 16 of the Champions League for the first time. 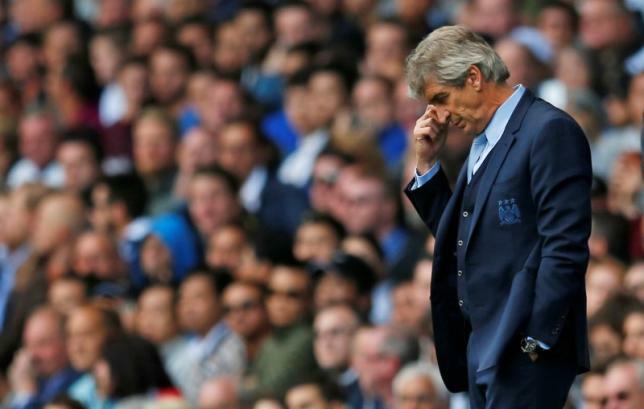 Chilean Pellegrini, however, remains confident of City’s chances. Gladbach are neither Real Madrid nor Bayern or Juve but the Germans are on a high after two consecutive wins following a terrible start to the season. In complete contrast to City they lost their opening five Bundesliga games, leading to the resignation of coach Lucien Favre, but interim coach Andre Schubert has since stopped the rot and they will be confident of their first Champions League points after an opening defeat against Sevilla. After a 3-1 defeat of Stuttgart at the weekend, midfielder Granit Xhaka identified the reason for the change in fortune.